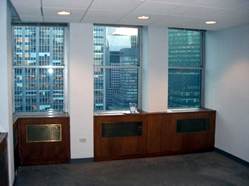 Grand Central Commercial Sublet Rental | Park Avenue- $59 / 3000 SF. 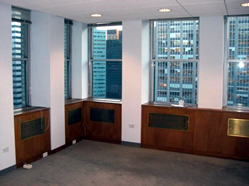 3,000 SF - Here on Park Avenue and 55th Street stands a very high end office sublet thats available on the 27th floor in a Class A Building near Grand Central Terminal. 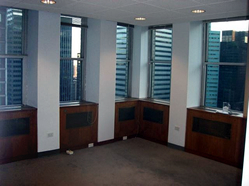 The current tenant is a high-end law firm that is subleasing out a protion of their space which contains the following; 3 private windowed offices (one is a corner), a conference room, shared pantry, and an open work space at the core of the space away from the windows. 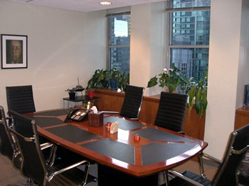 The first private office offers 17x13 of space while the other two offer 15x10 configuration. All of these private offices enjoy shared access to 2 conference rooms, a receptionist, pantry, plus more (call for further details). This is a great opportunity for a small business to have a high end office for a very affordable price! This premiere midtown location is offers both great image and transportation options; while the current tenant is extremely professional and excited to share their space! Great for Accountants, Attorneys, Capital Management, Financial Advisories, Hundfunds, and more!